The award-winning Infinity Blade video game trilogy reaches its epic conclusion! The original iOS blockbuster returns with adrenaline-fueled sword-fighting action, gorgeous visuals, and a thrilling story of love, betrayal, and redemption. Uncover new mysteries to wield the power of the Infinity Blade in this timeless adventure of champions and villains. Battle all-new enemies as both the legendary hero Siris, and the stealthy female warrior-thief, Isa, each with three unique combat styles and hundreds of fantastic weapons and items. 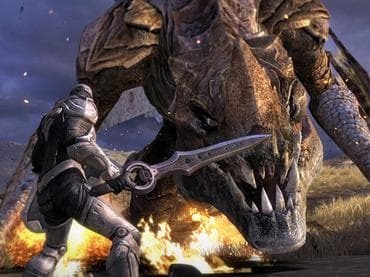 Если у Вас есть вопросы, связанные с игрой Infinity Blade 3 пожалуйста используйте эту форму для связи с нами.